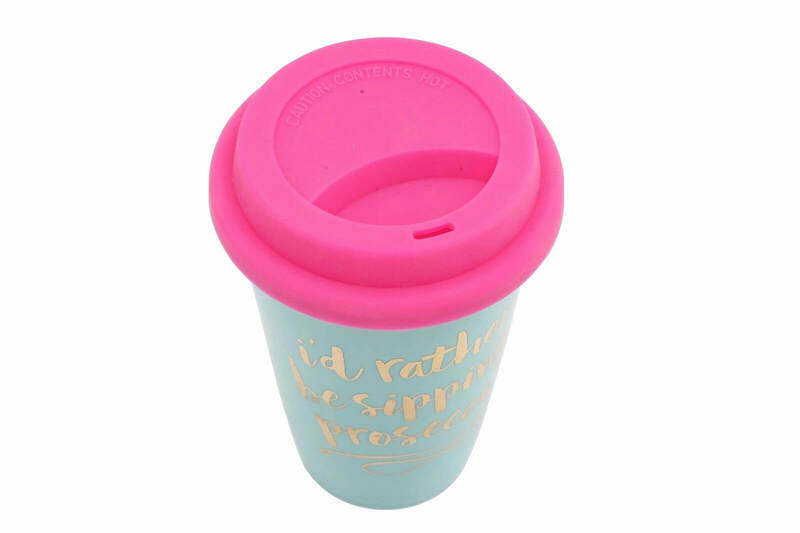 Keep your drink warm on the go with this lovely ‘I’d Rather Be Sipping Prosecco’ ceramic travel mug. 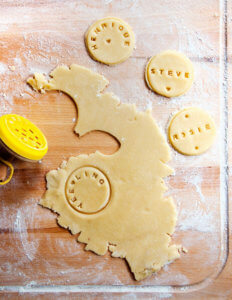 The perfect gift for the friend that loves Prosecco as much as they love tea or coffee! 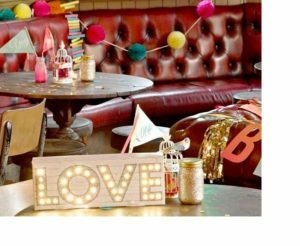 Or why not treat yourself! 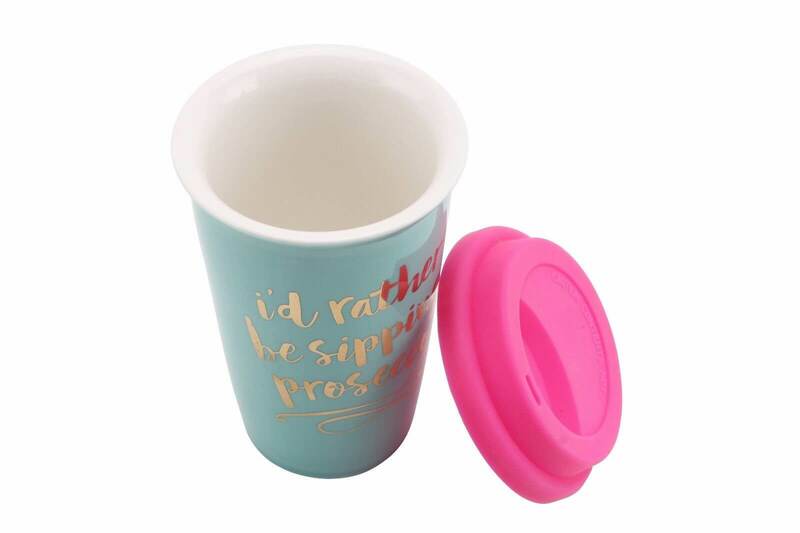 While a glass of Prosecco would make every Monday morning that bit more exciting, why not make do with drinking your morning coffee/tea in style from this fabulous travel mug? 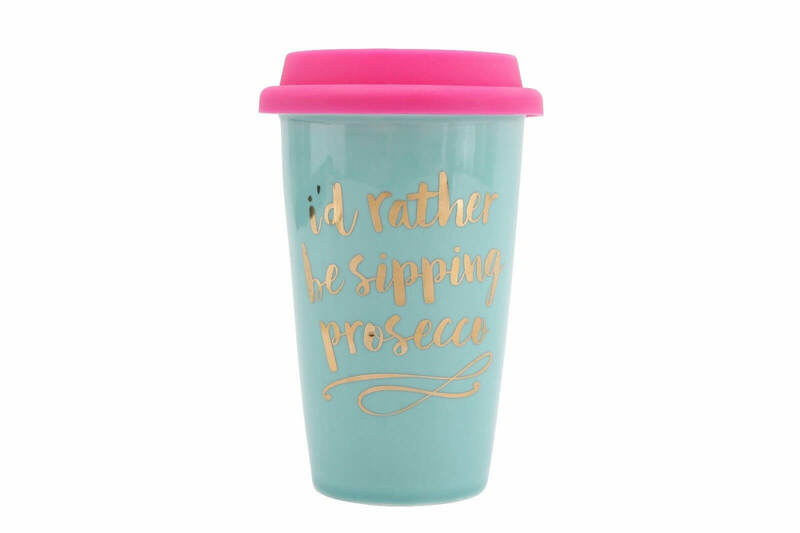 Let everybody know you’re a weekend party girl, even when you’re doing your 9 to 5 with the Rather Be Sipping Prosecco Ceramic Travel Mug! Whether you’re a fan of earl grey or you’re into your rich Colombian coffee, we think it’s safe to say you’d rather be drinking Prosecco. 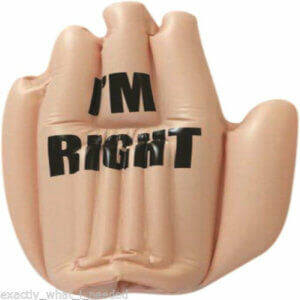 With this fun novelty gift for her, you’ll have a handy travel mug that says exactly that! 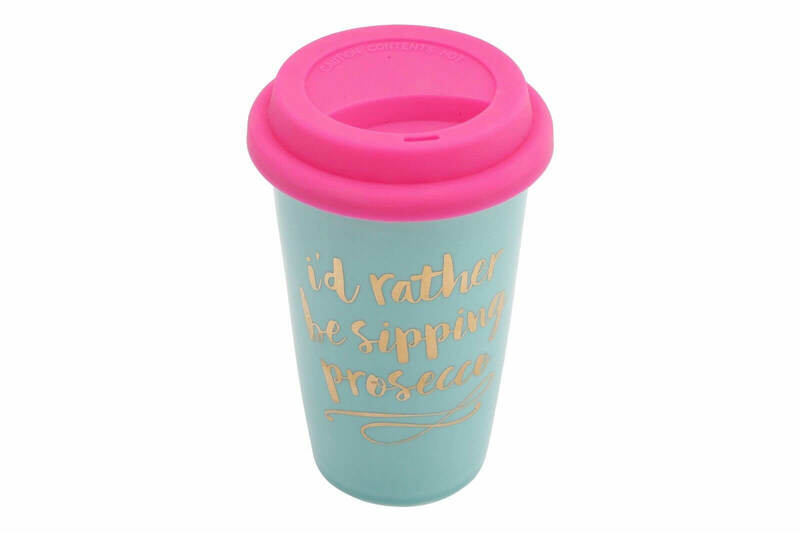 Those magic words are spelt out in a gorgeous gold script across the front of the Prosecco mug, while the pink lid can’t help but get you noticed for all the right reasons. 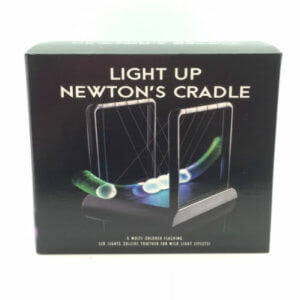 This accessory is convenient for the train, tube, bus or car. The Rather Be Sipping Prosecco Ceramic Travel Mug will wake you up that little bit more each morning. We’ve all got a Prosecco-loving friend, so why not make their Christmas or birthday extra special with the Rather Be Sipping Prosecco Ceramic Travel Mug? A thoughtful birthday gift for her, this novelty travel mug is guaranteed to be met with some knowing smiles, whether you give it to your best friend, sister, mum or colleague. 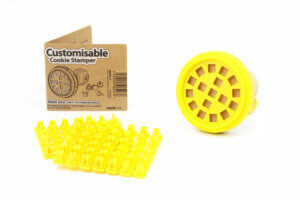 Made from Ceramic, Dishwasher Safe.